I thought it'd be fun today to share a quilt my mom just finished up. 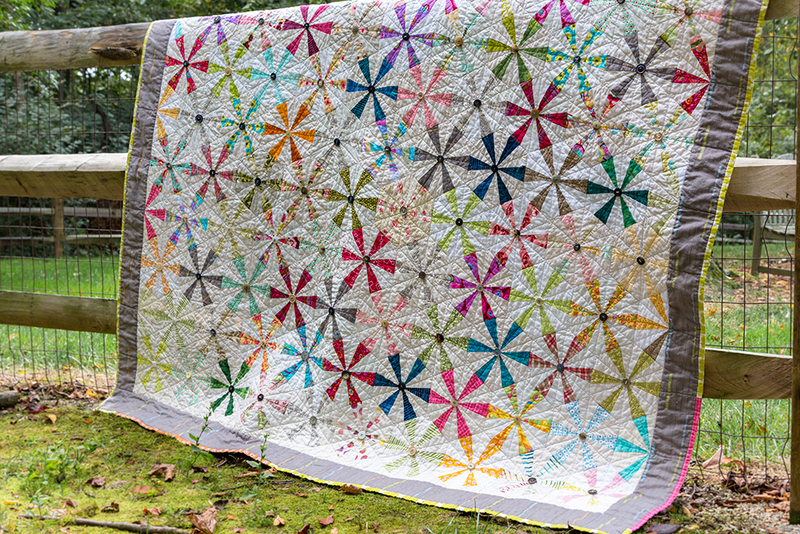 This quilt is based on a pattern in the book Once Upon A Seasonby authors Becky Goldsmith and Linda Jenkins of Piece O'Cake Designs. My mom reworked the pattern to eliminate the center circle and sewed buttons to the centers instead, using her Bernina to make quick work of sewing them on. She also added more blocks to make the quilt a rectangle. Other inspiration for the quilt was from Timna Tarr's Quilt Catena as shown in Quilters Newsletter magazine, December/January 2013 issue. We saw her quilt displayed in the International Quilt Show in Cincinnati, Ohio, in 2013. 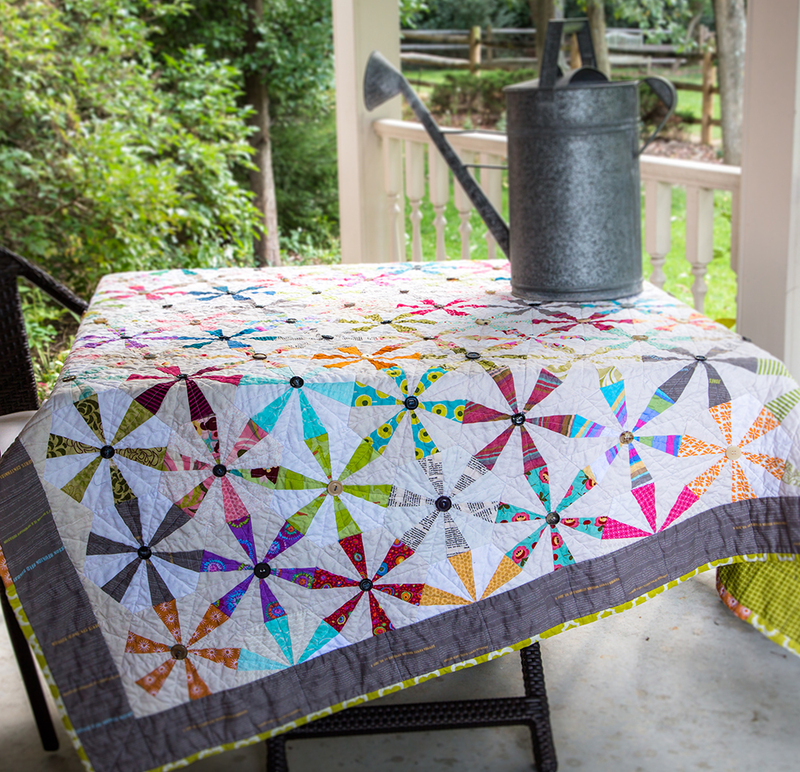 The backing is a variety of scrappy pieced prints. I spy some Sweetwater! Isn't it lovely? :) Thanks for letting me share it mom!